For anyone who loves to BBQ, this is a practical, thoughtful, and elegant gift! 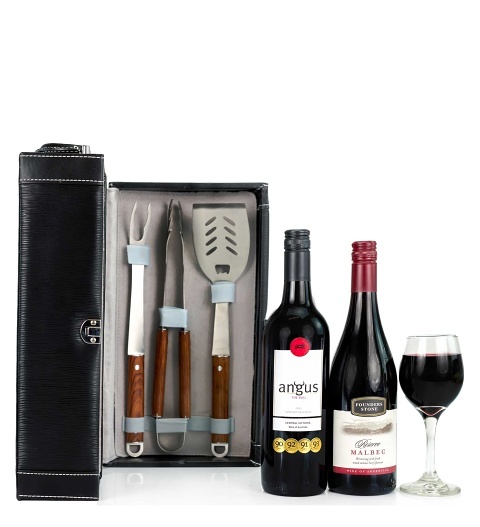 Included in this stylish wine case you will receive two bottles of wine along with essential BBQ utensils! Send this hamper for Father's Day or any other occasion to make him smile! Available for UK next day delivery, this gift will always be well-received.